Brian Boyko, an author for the website, “Enthusiast“, recently published a review of OS X based on his initial thirty day experiences with the operating system, titled “30 Days with Mac OS X“. The article was published as part of a series that reviews the latest operating systems. 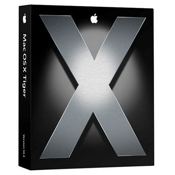 The author didn’t come of as if the purpose of the article was not to provide a switcher’s point of view to OS X (which it should have been), but really to give a fair review of Mac OS X Tiger. First off, I wish to clarify my feelings towards these types of articles, where the author only gives his/hers first impressions of a product. I do not believe that a switcher can successfully provide enough information to support his case for or against a product only after thirty days. It’s ridiculous that an author can achieve so much information to already form conclusions only after working with a product after thirty days. I do not believe that a product as complex as Mac OS X (or any other OS) can be given a fair review after only thirty days of on person’s experiences. In many arguments Brian made, it was obvious he didn’t have enough experiences with OS X to fully support his arguments. One of the arguments he discussed against using a Mac is the lack of a stable, functional word-processor. The author listed all of the major word-processors in the Mac market, but failed to give his feelings towards each of them. He complained about the Microsoft Office and iWork trials, but never actually tested the fully-functional registered product, which is essential to truly understand the software. Possibly if he had given iWork a sincere try, he would have grown used to the rich features Pages and Keynote provide, compared to Microsoft Office. Additionally, I challenge his complaints towards a lack of a freeware word-processor. In respects to Windows, the exact circumstances apply. Windows usually comes with a demo version of Microsoft Office, and doesn’t have a complete, stable freeware suite of office applications that fully match the capability of Microsoft Office. I would also like to mention the great chance that Apple will bundle its iWork and iLife suites into Leopard, therefore making the office and multimedia suites free. This actually presents another strong case defending OS X from one of Brian’s arguments, which is that this article was published only two weeks away from WWDC. It should be noted that this article is judging years-old software that are soon to be updated. Microsoft Office, iWork, iLife, OS X, and even the Mac Mini he used are all about to be upgraded soon. Brian also admitted that “I didn’t want my experiences with the hardware to taint my results evaluating the operating system”. But unfortunately, much of his review was really based off of the hardware he was using. So, to be fair, its not right to judge a piece of software by the hardware you test it on, especially if that hardware is the cheapest offering available. Also, he blamed his unsuccessful attempts to play 3D accelerated games on a Mac due to the hardware, without providing any evidence for support. In case he doesn’t know already, Boot Camp is beta, and not to be used without acknowledging that fact. It is not fair to judge a piece of software based on its beta versions. Plus, he should have clarified that Intel Mac Mini and MacBook models do not have an independent 3D graphics card, and the performance when attempting to display 3D graphics will simply not compare to a Mac that actually has a 3D graphics card. So, if you are looking into buying a Mac for gaming, maybe its best you upgrade to either an iMac or a MacBook Pro. His belief that “Safari’s not as polished as FireFox”. Joking, right? If not, try Camino. In order to disable Dashboard you must “go into the command-line terminal and enter a few complex commands”. –Onyx, a great freeware utility app. His theory that Mac OS X doesn’t have a wide-variety of freeware selection. –MacUpdate. Not researching to find out how to take screenshots of DVD Player in action. -Try Screenshot Plus or using Terminal commands. Upgrading RAM with a Mac is difficult. -Actually try upgrading the RAM before making inferences that it will be difficult. Moreover, probably the most ridiculous part of the article that genuinely describes Brian’s complete ignorance is his comparison of Windows Vista’s anti-piracy protection and Mac OS X’s deep ties with Apple hardware. Apple’s decision to tie down its operating system to its hardware is really a business strategy to couple products for profit and boost product performance and stability, which is totally irrelevant of a business strategy that prevents pirates from using and distributing pirated version of Windows. It’s sad that this author’s definition of DRM has been skewed to this degree, and the confidence the author had in this definition allowed him to make such preposterous accusations. Simply put, thirty days of experiences just simply doesn’t allow an author to fair review a product as complex as OS X. Maybe if Brian continued to work with OS X on a number of environments and systems, after a year he would really be able to give a fair analysis of Mac OS X. Especially considering the fact that he’s testing an operating system and hardware that are soon to become obsolete. I think you’re being unnecessarily hostile towards the guy. He obviously put a lot of time into investigating things, and there was a lot of information there about the Mac that I as a complete Mac fanboy didn’t even know. He seemed pretty fair, and I think it just comes down to differing tastes. And perhaps there are things for Apple to learn from here. It _would_ be nice to have iWork bundled for free. And that .Mac crap in the initial bootup process is annoying, you must admit. That’s the marketing department slipping in the Mac’s equivalent of a “craplet” under Steve’s nose.